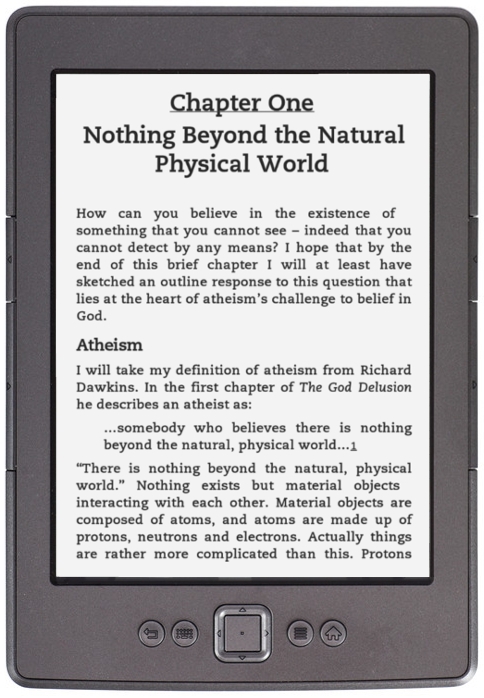 The Dawkins Proof is now available for Amazon's Kindle reader. The content is exactly the same as that of the printed book. The Kindle version can be read on the Kindle device and any of the Kindle applications which are available from Amazon for use on PC, Mac, tablets or smartphones. The Dawkins Proof is priced at $0.99 in the USA or £0.77 in the UK. The following buttons will take you directly to The Dawkins Proof in Amazon's Kindle store. To find out more about the paperback version visit the book page.